A 1910 Craftsman home kitchen remodel with period style fixtures. Pendant lighting from Rejuvenation compliments the period of this 1910 Craftsman kitchen remodel. 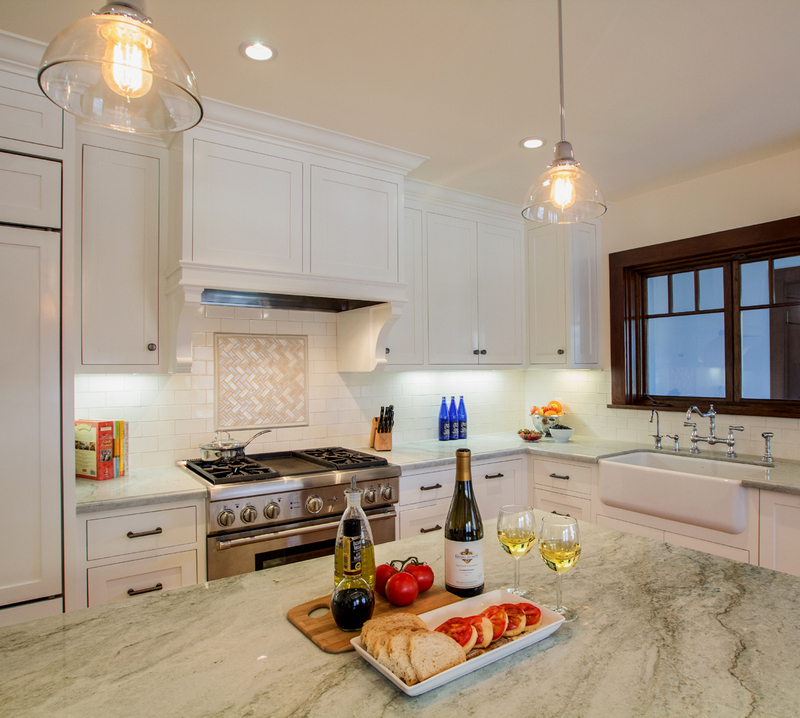 The elegant Sea Pearl green quartzite countertops have a light veining that creates a soft movement.